Andre Ward (22-0, 13 KO's) used superior in-fighting to simply assault Allan Green (29-2, 20 KO's) for twelve rounds, winning 120-108 on all scorecards. 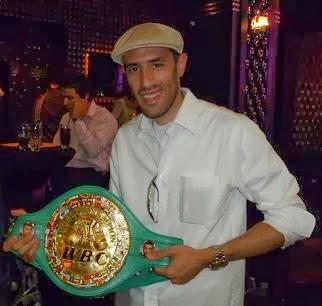 With the victory, Ward retained his WBA super middleweight title. Ward, 26, came out strong from the opening bell, and constantly was first with his shots. Ward never gave Green a chance to get off a jab, as he smothered his shots continuously throughout the fight. In a slow-paced first round, both fighters tried to get into a rhythm and battled competitively in the clinches. After that, Green was never close to harming Ward. Ward dictated the action, hitting Green and then tying him up. Green managed to land a counter left hook toward the end of round two, although Ward responded swiftly with his own lunging left hook. In round three, Ward got Green against the ropes and pounded him mercilessly with potent left hooks to the body. Ward took away any strength Green held inside of him, battering him with short, accurate punches for approximately two minutes. Ward sustained his fierce offensive attack in close quarters during the fourth round, hammering Green with numerous left hooks. Then, Green tagged Ward with a flush left hook, but Ward absorbed it and wore down Green further as the round progressed. Ward's overall physical strength was just too much for Green to overcome. As the fifth round came to a close, Ward connected with a solid straight right to Green's head. In the sixth round, Ward and Green traded left hooks. Next, Ward staggered Green with a series of right hands to the head. Green could not back Ward up, which led to Ward peppering him with a multitude of crisp punches. Green hardly landed any punches in the second half of the fight, and experienced some swelling above his left eye after round seven. Ward momentarily hurt Green with a right-left combination in the beginning of round ten, and continued to impose his will on a mentally and physically beaten Green. At times, it seemed Green was sitting back waiting to hit Ward with a counter punch. One of Green's problems was thinking he could counter someone, whom he quickly discovered, possessed much quicker reflexes and hand speed than he did. Once Green realized he could not compete with Ward's speed, talent and keen instincts, he became a punching bag for the 2004 Olympic Gold Medalist. Another problem Green had was fighting in close quarters, which was due in large part to Ward's first-rate boxing skills and a lack of mental toughness. When the fight got tough for Green, he just fizzled out and it enabled Ward to overwhelm him in every phase of the game.